BioWare has two strikes against them at this point, with both Mass Effect: Andromeda and Anthem disappointing critics and fans alike, which means there’s now an outsized amount of pressure on Dragon Age 4. 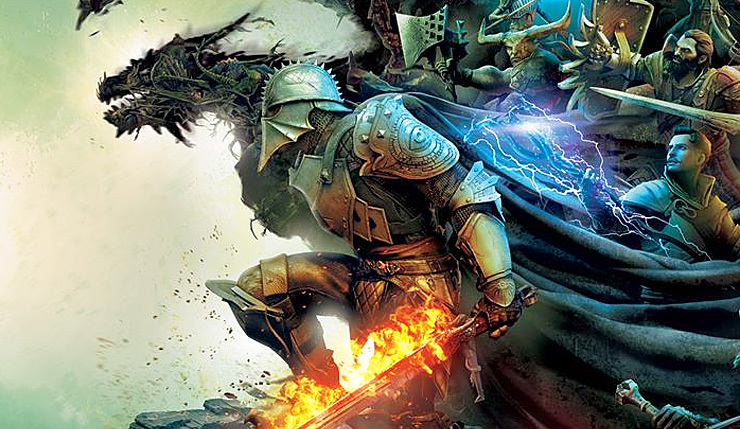 Following last week’s scathing Anthem exposé, Kotaku’s Jason Schreier is back with a new behind-the-scenes look on what’s going on with Dragon Age, and some fans may not be thrilled with the direction BioWare is reportedly taking the franchise. The Dragon Age 4 currently in development at BioWare Austin is actually the second version of the game. An earlier take (codename: Joplin) headed up by longtime Dragon Age writer Mike Laidlaw was cancelled back in 2017 in order to shift resources to Anthem. This earlier version of Dragon Age 4 was designed to be smaller than your typical BioWare game, but with a greater focus on player choice. The game would have cast players as spies in the wizard-ruled land of Tevinter Imperium and focused on replayable heists and missions. According to those who worked on it, this version of Dragon Age 4 was shaping up to be “very cool,” and it’s cancellation lead to the departure of Laidlaw and other key team members. So, what’s the current iteration of Dragon Age 4 (codename: Morrison) all about? Well, it’s being overseen by Dragon Age: Inquisition art director Matt Goldman and built using Anthem’s tech and codebase. As such, the game is said to have a heavy live service focus, with some within BioWare describing the game as “Anthem with dragons.” The game will likely have a stronger single-player component than Anthem, but multiplayer will definitely be a big part of the formula, with drop-in/drop-out co-op and quests that change based on the accumulated decisions of everybody playing the game being considered. What do you think? Can BioWare turn their fortunes around with Dragon Age 4? What do you want from the next entry in the series?